Cardiac arrests don’t discriminate and can happen to anyone at any time, which is why it is so important to make sure that any public space is well equipped with a defibrillator that has easy access. Schools, colleges and universities are no exception as not only can students fall victim to a heart attack, but staff and visitors can also be at risk. 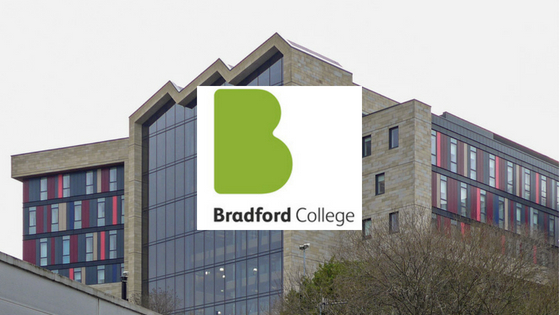 Bradford College recently got in touch with Defib Machines about installing a range of AEDs in their establishment. As a spread-out campus with numerous buildings we were requested to provide a recommendation for the number of AED’s and their placement throughout the College. Our team organised for a full site survey accounting for numerous barriers to entry and various access points. All variables were considered, and the appropriate locations were decided upon to allow for the ‘two-minute rule’ to be applied whereby anyone can access a defib machine in two minutes or less. Following this, a report was provided across to the college for review. The report was presented, and a full demo of the device was provided. This also provided an opportunity for any questions to be asked and the device to be handled and fully reviewed up close. Bradford College at this point made the decision to follow the advice presented for number and location of AED’s on the campus. The devices were installed, and training made available for all staff who wanted to learn about cardiac arrest and how to use a defibrillator. One month following this a call was received from the College. An AED had been deployed overnight when a Professor suffered a cardiac arrest on site. Three shocks were provided saving the gentlemen’s life. Our closest technician was contacted, and the device was replaced within an hour of the call being received for a brand-new device. Take a look at our helpful breakdown of a typical defibrillator cost. If you want to make sure that you’re protected against cardiac arrest at your school or uni, then take a look at our full range of defib machines. This includes our popular rental package for just £1 a day. To find out more or to start your order, contact us online and a member of our team will call you back at your request, or if you prefer call us directly on 0800 0852 733. © 2017 DefibMachines. All Rights Reserved.